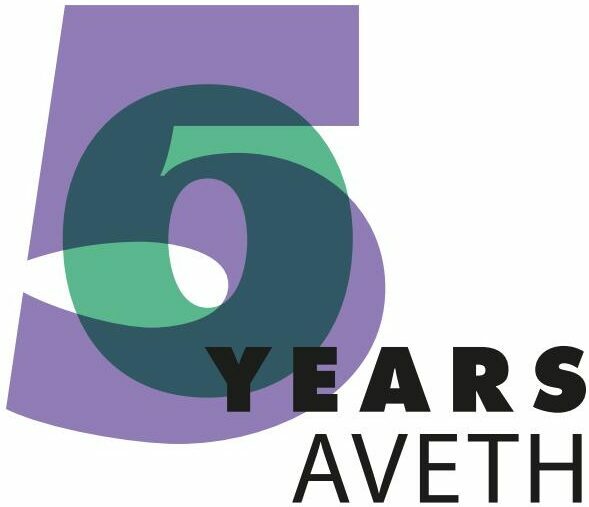 The counseling service of the AVETH was created to help you overcome difficulties while working at ETH. Any problem you run into has probably occurred before and our team has experience dealing with many kinds of issues. Even when you are not sure you really have a problem, just a feeling, talk to us and we can help you avoid a problem from occurring. The earlier you seek help, the more likely it is to avoid an escalation. This can be problems with your supervisor, other group members or living in Switzerland. We will work out a solution together with you, help to avoid escalation, provide mediation and connect you with the necessary services at ETH. It is our mission to make your time at ETH a positive experience. We understand that many problems are of a confidential nature. Contact us via the AVETH webpage or at counseling@aveth.ethz.ch. Alternatively, the Ombudsperson is a neutral confidential authority at ETH, usually a retired Professor or Administrator, who will help and advise you. Reconciling family and work is one of the buzzwords at ETH Zurich. Of course, combining both will pose a challenge. This is why ETH Zurich created a range of services for employees with young children. Up-to-date information on these services can be found on the ETH-Zurich Family Portal. The FAQ section on this page is interesting for both the employer and the employee. If you have any questions regarding bringing your family with you to Switzerland, please get in touch with the Human Resources Department. Your institute will provide you with the name of your administration assistant. It is advisable to enquire about the procedure before starting at ETH Zurich. Perhaps the most important service is the kihz trust, which offers advice for parents in academia on finding daycare for their children, holiday care or special daycare during conferences. Here, you will also find a list of links to English speaking daycare centers in Zurich. Note The information provided in German might be more detailed than in English. Check both just in case. A few rooms at ETH are specially equipped for diaper-changing. The Academic Sports Association of Zurich provides sports courses tailored to youngsters. The Golden Tricycle is awarded annually to ETH-Zurich team leaders, creating a remarkably family-friendly working environment for their team members. It was founded by the AVETH as a symbol of the importance of family, especially for a world-class research institute. Every employee is encouraged to send in a nomination. The award ceremony is part of the ETH staff party – togETHer. For information about maternity leave etc., contact the Doctoral Administration, Office of Equal Opportunities for Women and Men at ETH Zurich, and/or Human Resources. KiKri and the Kihz foundation provide day nursery centers. As the waiting lists are typically rather long, it is a good idea to arrange childcare as early as possible, preferably even during pregnancy. In addition, Kihz provides other services such as ‘kihz holiday clubs’. Contact the Human Resources Department and find out who is responsible for the department to which your research institute belongs (Personalchef/ in). Utilize the free Psychological Counseling Service. AVETH also provides a counseling service to talk to and help you with advice and mediation (see AVETH homepage: www.aveth.ethz.ch). More detailed explanations on how to handle such a situation, as well as more contacts, are available on ETH Zurich’s webpage on basic principles of mutual respect. It is implicitly or explicitly suggested that submission or rejection has consequences in the professional field. The conduct interferes with the work performance by creating an uncomfortable work atmosphere. Considering the multi-national body of staff at ETH Zurich, various misunderstandings may occur as to what is considered reasonable behavior. Be sure to use clear words both orally and in writing when you disagree with the behavior of others towards you. Do not expect hints alone to be understood. Nottelefon und Beratungsstelle für Frauen – gegen sexuelle Gewalt. Here, a group of female psychologists gives advice, legal counseling, information on discussion groups and self-defense courses etc. Mannebüro Züri. Here, men can get help in crises and obtain further information on discussion groups etc. Find the right balance between professional and private life. Get involved in social activities and leisure like sports, arts, etc. If you feel you are approaching a limit, you feel constantly tired or the pressure is too much: react right away. Don’t wait for an escalation or manifestation, be proactive and talk to someone, like the Psychological Counseling Service. Independent of your relationship with your supervisor and this tip also holds true for any meeting or professional interaction: keep a good documentation. In every meeting, no matter if formal or informal, take notes and at the end of the meeting read them back, citing the major points and agreements. Often problems arise form something simple as a misunderstanding. By reading your notes back, you present your own understanding of the content of the meeting and give your counterpart the option to correct you, if you have understood something incorrectly. The relationship with your supervisor is vital for your success in your doctorate. Research in such small groups strongly depends on trust. Make sure you don’t risk you relationship with your supervisor. If you really feel something is not going well, talk to the Ombudsperson or the AVETH counseling team before letting a conflict escalate. After that it is often very difficult to get back to a good working relationship. Listen to the suggestions. Do not say much at first, but do not give the impression that you are agreeing. Try not to get dragged down by unappealing aspects of the project. Maybe those ‘negative’ aspects are not as pronounced as you think and there just might be very appealing aspects you had not noticed at first! Write a list of the project’s pros and cons. Point out the cons and suggest alternatives. Present this list to your supervisor and discuss it together. If she/he does not agree, a group meeting might be helpful. Your research plan should be a guideline for your doctorate and you can use it to point out if a project seems too far off topic and not helpful. Still try to avoid a negative development of the argument, keep it focused on finding a compromise. Dare to ask for feedback from time to time. You should have a clear idea of how your supervisor thinks your project is progressing. Often, good ideas and suggestions emerge during conversation. Do not expect your supervisor to come and check on you every day. Your initiative is appreciated and required. Consult your supervisor or a senior scientist. If this does not work for whatever reason, there is a last resort: As a doctoral student at ETH Zurich, you have the right to submit a written progress report at any time of your dissertation and your supervisor is formally obliged to comment on it (Doktoratsverordnung, Art. 14). Of course, this is really the last thing you should try since it is not the most congenial method. Personal approaches are usually quite sufficient. Dissertation drafts usually require laborious proof-reading on the part of the supervisor. If this process takes a long time, do not complain openly. Instead, try to motivate her/him and agree on a timeline. Even before you reach this point you should contact the AVETH counseling team or the Ombudsperson. We will sit down with you and figure out a solution. This could be a mediation (see below) or a strategy to get around the problem. The first official step, if nothing else works would be to talk to the head of your department. We strongly advise you to discuss this step with us first, as this will make your conflict public (at least in the eyes of your supervisor) and this could be a point of no return. At ETH Zurich, there is the duty of mediating between doctoral students and their supervisors (Doktoratsverordnung, Art. 16). To this mediation meeting you can bring the AVETH counselor and/or the Ombudsperson. The next stage of escalation would be to involve the Prorector for Doctoral Students. If the conflict is not resolved, the arbitration commission will hold a hearing and pass their findings to the rector. The rector will then reach a binding decision. Your supervisor can quit your doctoral thesis supervision by writing a letter to the doctoral administration stating a reason. This reason cannot be discussed or challenged, as it is a subjective decision by the Professor not to supervise you anymore. This sounds very harsh and makes you look unsafe. This is not the case. A Professor at ETH should take his responsibility of supervision serious. Still, if this occurs, you will receive a letter from the doctoral administration informing you of this situation. From then on you have 6 month to find a new supervisor. Your department should assist you in this endeavor and independent of your contract should provide up to 3 month salary. If you cannot find a new supervisor within this time, you will be automatically ex-matriculated as a doctoral student from ETH. Your working contract with ETH will then also be nullified, as it is directly linked with your status as a doctoral student. Again we would like to stress that you should contact AVETH or the Ombudsperson as early as possible. Discuss the authorship on a paper before the writing begins. Ask about the rules of authorship in the group. Usually, the contribution of data warrants authorship. Often, the order of the authors is a major bone of contention. There are mutually satisfying solutions to this, such as additional comments (“both authors contributed equally to this work…”). Make sure you follow ETH Zurich’s guidelines for research integrity and good scientific practice. Talk to your supervisor or use the group meeting to ask for help and make sure your situation is clear. If you ask for help, bring suggestions on how to solve the problem. You could ask fora diploma student and delegate a small part of your project to her/him whilst acting as her/his supervisor. However sometimes this can me more work than less, as you have to train them first. Attend a project management course provided through Human resources. Quite a few of these are geared towards the needs of academic staff.